Awsome equipment and Services! Highly recommended! Great guys, super helpful no pressure sales of quality equipment. 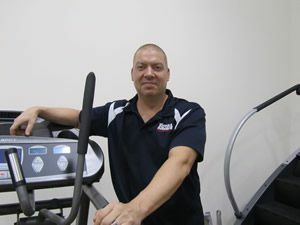 Jeff brings over twenty years of active involvement in fitness and exercise equipment. His first job in the fitness equipment industry was as a personal trainer while attending Springfield College. He enjoys sharing his knowledge to help people achieve their fitness goals. He joined the Total Fitness Equipment family in 2007 and is currently our Newington exercise equipment showroom manager. In his spare time he likes to kayak, attend Yankee games, and hike with his wife and dogs. Why Total Fitness Equipment For Your Exercise Equipment Needs? Resolving to workout is a good decision. With our long cold winters here in Connecticut and Western Massachusetts, it can be easy to burrow down and get out of shape. Nevertheless, increasing the number of workouts can prove worthless without the right exercise equipment. Yet, that is just the mistake many make. 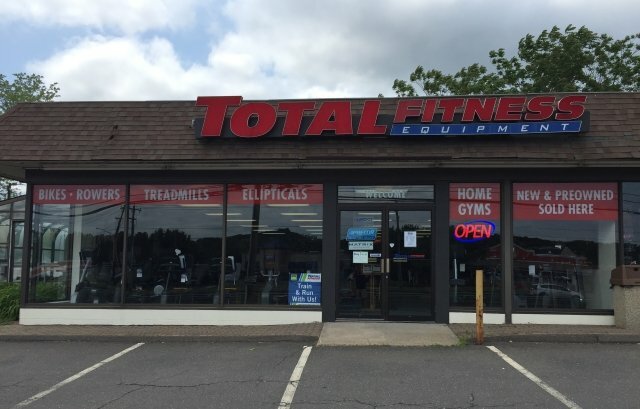 At Total Fitness Equipment, we are the partner who helps clients, our friends, accomplish all their fitness goals, whether personal or commercial. Quality exercise equipment can increase the value of each individual workout routine. With the best equipment, users will find their workouts providing the optimal benefit. People get into shape a lot quicker and easier when they have access to the top exercise equipment brands, such as those we have at Total Fitness Equipment. There is little time in the increasingly busy schedules of the average person to get into shape. Therefore, we must all workout as efficiently as possible. Total Fitness Equipment has the right products for everyone to get the most out of their exercise regimens. Here at Total Fitness Equipment we sell the highest quality exercise accessories for both commercial and residential uses. Whether a client plans to stock a public gym facility or a private, at-home recreational room, our family-owned store stands ready to provide professional assistance. Along with a full line of new products, we also offer a wide selection of used fitness equipment. As caring professionals, our staff ensures that any used exercise equipment we sell has been fully tested to ensure reliability. Our stock of both new and used exercise equipment consists of only the top brands. We sell brands widely known for consistently providing safe and sturdy products. This concern for perfection is one reason so many individuals, fitness center administrators and organizations return time and again to Total Fitness Equipment for their exercise needs. Our excellent sales staff has the experience, training and desire to answer any questions about the fitness industry. We understand that some in Connecticut and Western Massachusetts may be making an initial foray into exercise. No problem. Just contact us to discuss the best solutions for any particular situation. Last, but not least, we offer a friendly shopping experience. Unlike large chains that treat customers as mere invoice numbers, Total Fitness Equipment is a local operation that gets to know clients. Our staff will go well beyond the call of duty to understand the unique fitness challenges facing each client. Then, we will locate the right exercise equipment to meet those needs. And more! Contact us today your exercise equipment needs, we look forward to serving you!